“Concerto no.2” Mixed Media(on wood panel), 2018, 19.7 x 23.6 inches, $1,600. “Astro-Spring”, Mixed Media (on wood panel), 2017, 30.3 x 30.3 inches, $2000. 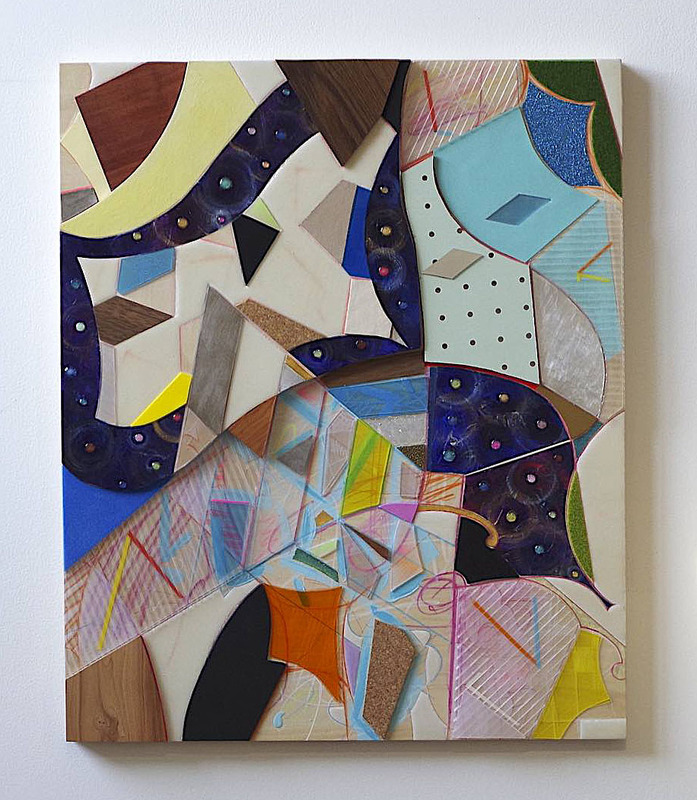 “Construction β”, Mixed Media (on wood panel), 2016, 36 x 46 inches, $3,200. “Good News”, Mixed Media (on wood panel), 2017, 13 x 18 inches, $950. “Reason and Emotion”, Mixed Media, 2017, 11.5 x 13.4 inches, $630. 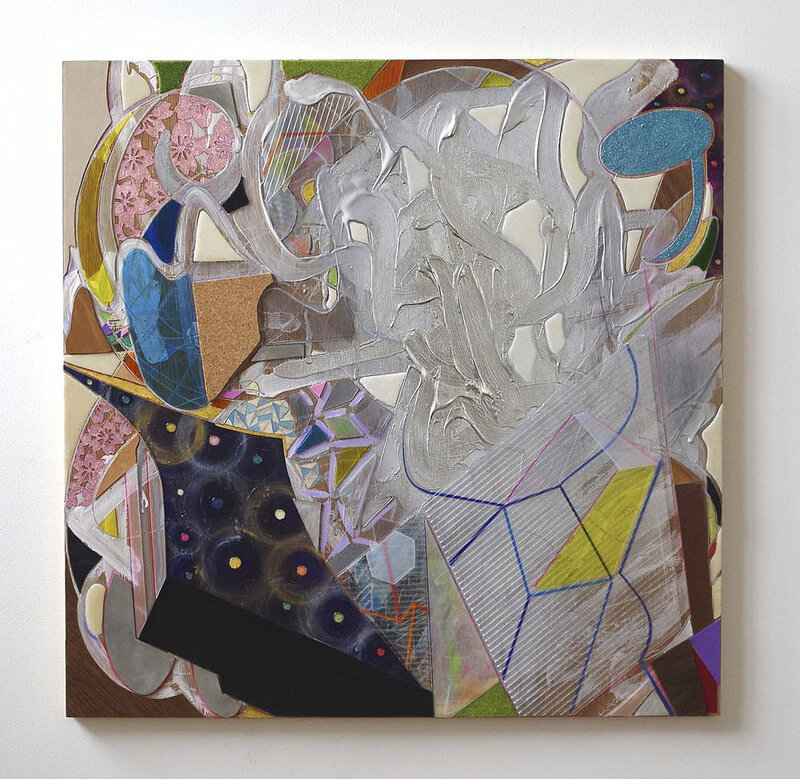 "My recent work is basically constructive layered painting, furthermore as the way of making images, at first I put some vanishing points on canvas and based on these, I imagine some objects that sometimes it is shifted and other times in piles. In addition, using deconstructed images of Japanese traditional decorative motifs, using various kinds of materials(acrylic plate, transparent polycarbonate board, leather, rubber seat, metal leaf and plate etc), and using more gimmick, I add my originality.